The Autumn Blaze Maple hybrid tree is truly a spectacular cross between a Silver Maple and a Red Maple. Homeowners and landscapers alike love the adaptability, dependability and vigor of this amazing performer. Growing up to three feet or more per year, the Autumn Blaze Maple hits maturity four times faster than the Red Maple. This makes this tree a favorite amongst those who don't want to wait for other shade varieties to grow. From the reddish hue of spring leaves to the deep green of the summer and the flaming orange and red fall foliage, this tree even leaves behind beautiful red wood all winter long. A great advantage of the Autumn Blaze Maple over other trees is its adaptability to a wide range climate and soil conditions. Perfect for zones 3 through 8, this tree tolerates wet soil, clay soil and can even survive extended dry spells. When you plant your maple be sure to give it plenty of room to accommodate its rapid growth. Expect a mature height of 40 to 50 feet with a 20 to 30 foot spread. When used as a specimen, this tree is perfect for large front or open backyards. For best results, plant your tree in the fall or early spring before it gets too hot. This hybrid Maple tree looks beautiful with little effort. New Autumn Blaze Maple trees do best if given a slow dose of water for several weeks. Using a refillable water bag helps to regulate water and ensure that the tree gets just the right amount of water to thrive. Be sure to water your tree immediately after planting. Cover the area around the tree with a three inch layer of mulch, to assist in water retention. It is not necessary to fertilize a new tree; however, this is something that can be done as the tree matures, if you think it is lacking in nutrients. Always take a soil sample before applying any fertilizer. Young Autumn Blaze Maple trees do not need to be pruned for several years. After this point, you will want to be sure to keep the tree free of suckers and prune off any cross branches that compromise tree growth. Light pruning can be done any time of the year, but for heavy pruning, late winter or early spring is the best. Because they are so popular, Autumn Blaze Maple trees are widely available from a number of reputable online dealers or from local garden centers. Fast Growing Trees has 3-4 foot trees or 5-7 foot trees for sale online. 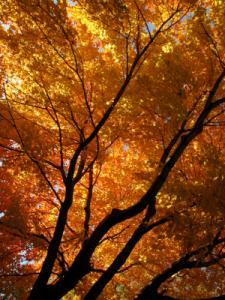 Thuja Gardens offers three sizes of Autumn Blaze Maple tree and free shipping. Choose from 18-24 inch trees, 4-5 foot trees or 6-7 foot trees. Brighter Blooms offers discounts for multiple tree purchases, and curretly has both 3-4 foot and 5-7 foot trees available. 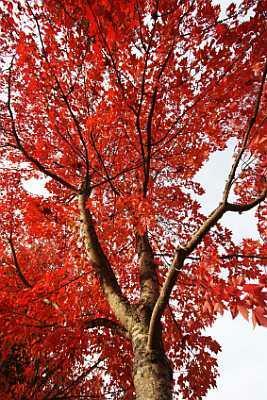 Nature Hills Nursery sells a 4-5 foot Autumn Blaze Red Maple tree; enter your zip code to find out shipping costs. There is little reason to wonder why the Autumn Blaze Maple hybrid has received numerous awards from landscape professionals, horticulturalists and consumers. This flexible, low maintenance tree adds spectacular year round interest to any garden.